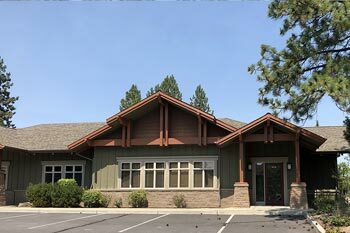 We are pleased to offer several Northwest Foot Care clinic locations conveniently located in the Central Oregon region – Bend, Redmond, La Pine and Burns, Oregon. Contact our clinics to learn more about the podiatry services available. For more information or to schedule an appointment, please call: 541-385-7129. Directions: From Colorado/Century Drive roundabout, take CHANDLER exit, then left on to YATES, then RIGHT on to NANCY WAY. We are in a green building. Parking is in the rear. See Google Map Here.